The High Plains Water-Level Monitoring Study (HPWLMS) is the USGS's response to a directive from Congress to report on water-level changes in the High Plains [Ogallala] aquifer (figure 1). Figure 1. 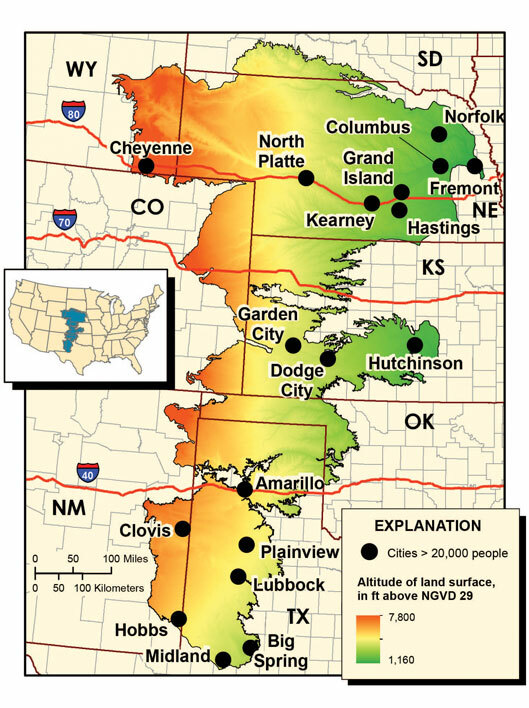 Location map showing the boundary of the High Plains aquifer, major cities and roads, and altitude of land surface. The directive from Congress was contained in the Water Resources Development Act of 1986 (Public Law 99-662). 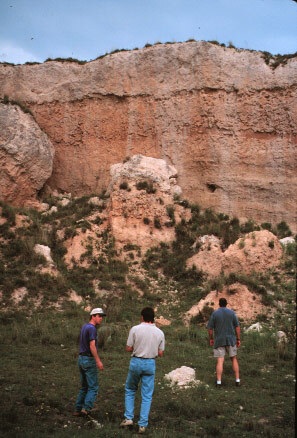 This law recognized the economic importance of the High Plains aquifer to the States in the High Plains region and added Title III to the Water Resources Research Act of 1984 (Public Law 98-242). Title III states that the USGS in cooperation with "...the States of the High Plains region is authorized and directed to monitor the levels of the Ogallala [High Plains] Aquifer, and report annually to Congress." Every two years, to report water-level changes and changes in water in storage to Congress and to the public.